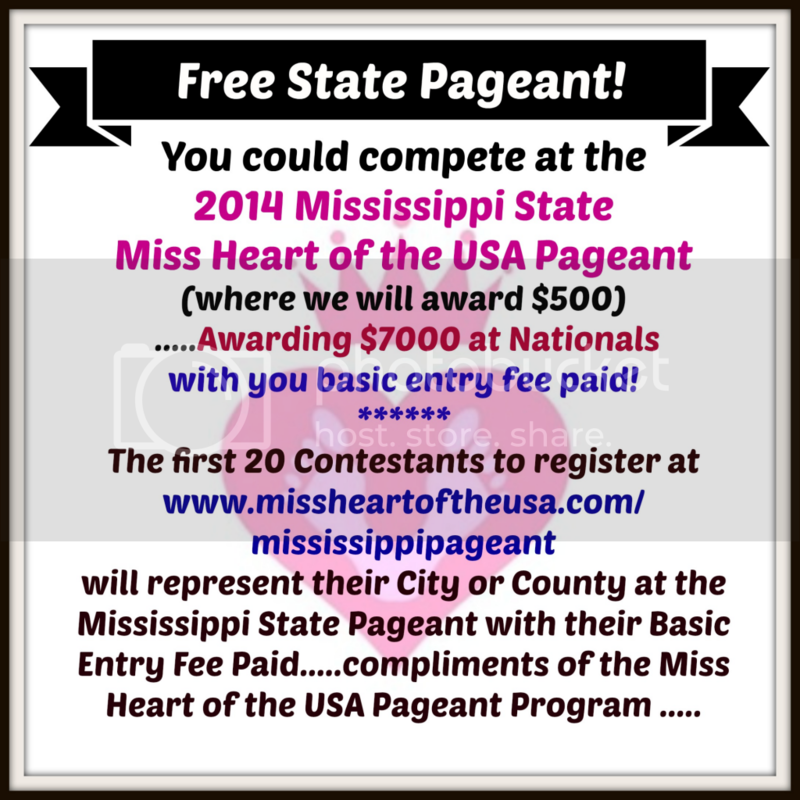 Miss Heart of the USA is giving away 20 FREE Entries to the Mississippi State Pageant, and you DON'T have to live in Mississippi! Join a pageant family that focuses on stomping out hunger! The first 20 people to register at www.missheartoftheusa.com/mississippipageant will receive their basic entry fee for FREE! Make sure to let them know I, Lillian Reeves, sent you!